Over the past five years I’ve seen my share of rental portfolios. My partner and I started Atlas Property Management in 2010. That year was an interesting time in the U.S. real estate market. As a property manager, I found myself in a very informative position in the market. When we started Atlas, we attracted two very different types of investors. The first group of investors were people who bought or refinanced their properties at the height of the market. They were in trouble and need someone to bail them out. To this group we became the final hope. The second group were investors that saw opportunity. Prices were low. Short sales and bank owned properties were everywhere. With a glut of supply and a minuscule demand, these investors hired us to leverage their time and resources. As I developed the model for Turn Key Philly, I spent months analyzing data trying to identify the differences between these two groups of investors. What I found was three key areas that separate successful investment portfolios from those that fail. We’ve all heard the Real Estate cliché “location, location, location.” It’s true! Purchasing the right investment has a lot to do with where the property is located. Successful investment areas can be screened by the neighborhoods rent-to-value ratio, crime rate, percentage of home ownership, market fluctuation, and other contributing factors. The best properties balance good cash flow with safety and the prospects of appreciation. At Turn Key Philly we concentrate on B-class neighborhoods with high home ownership, strong cash flow and low crime rates. This formula is the result of analyzing more than 4000 leases. 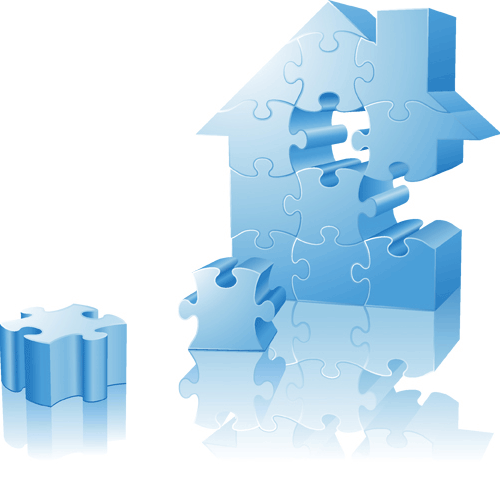 The property is the first key to the success of any rental investment. At least once a day I get an email about a rent-ready property; “It just needs paint and carpet.” For some investors, the lower the renovation costs, the better. What I found is that the most successful investors do not over-improve, but they do not skimp on the renovation either. A clean, updated appearance attracts good tenants. Dependable mechanicals (roof, windows, heating, electrical and plumbing) encourage residents to stay in the property for years to come. Happy tenants mean less problems and higher returns. So when analyzing a prospective investment, determine the condition of the heating system, roof, windows, plumbing and electrical systems. If they have a realistic lifespan of less than ten years, budget to replace them. Look closely at the kitchen and bathrooms. Were they recently updated? Will their appearance deter good renters from submitting an application? If so, adjust your offer so that repairs fit within the maximum offer. Warren Buffet has a great saying that holds true in a lot of different industries. He said, “Price is what you pay. Value is what you get.” While I like a good price on every investment, it’s the value that I’m really after. It might seem obvious, but the purpose of any investment is to provide a profitable return. One of the most consistent contrasts between successful and unsuccessful rental portfolios is the profitability of each property. After several interviews with portfolio owners, the culprit was always the same. The numbers. It is important to base every investment on today’s reality. Recent history has taught that prices will not always rise. Betting on what a neighborhood may be worth in a year or a decade is a good way to go broke. It is also important to honestly look at the real expenses for every property. Every investor needs to know the real vacancy rate on their properties. When analyzing an investment, the overall cost of maintenance, management, leasing, licenses and fees should be taken into account in addition to the traditional expense of taxes and insurance. The most successful investors live and die by the numbers. No matter how attractive an investment or how hot a market, the best returns always come from the numbers on the bottom line. Not all investments are made the same. By focusing on the pieces that matter most, every investor can start and build a profitable rental portfolio.